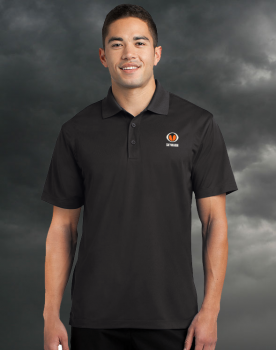 This performance polo is made from 100% ultra-fine polyester for performance, strength and wrinkle resistance. This fabric is engineered to be incredibly smooth, naturally wicking, naturally draping and virtually snag-proof. The quality of the shirt will not overshadow that of the embroidered Skywarn logo, clearly identifying you as a stylish spotter.